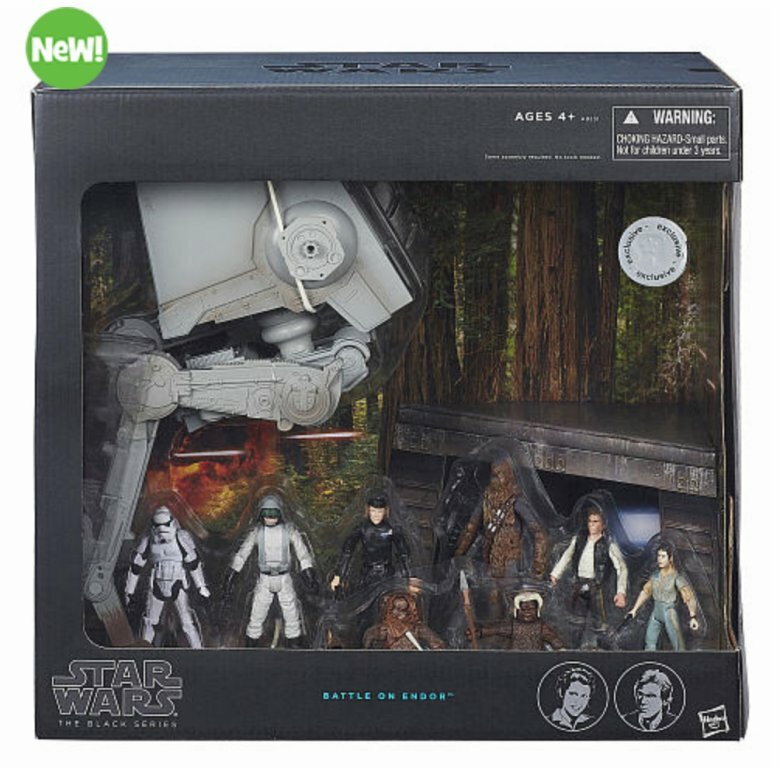 The ToysRUs exclusive Battle of Endor Battle Pack is now online for $99.99. The set features an AT-ST vehicle and 8 figures including Han Solo, Chewbacca, Princess Leia, Imperial Officer, AT-ST Driver, Stormtrooper, and a couple of Ewoks. Click here to order. Thanks to our friends at Yakface.com for the heads up!